Iranian sources have reported the disappearance of General Vahid Haghanian, the commander of Iran's Supreme Leader guards nearly about a month ago, amid speculations that he might have been detained or placed under house arrest. The disappearance of Haghanian, who also serves as a political assistant in the private inspection office of Iran's Supreme Leader Ali Khamenei, has since Jan. 31 raised questions and speculations that there are confusions in the house of the Supreme leader. The news was reported on Tuesday on "Saham News" of the "National Trust party (Etemad Melli)," led by Mehdi Karroubi, the leader of the Green Movement who is under house arrest. Haghanian is described as “the supreme leader’s right hand," and there is a possibility that he was arrested, but no confirmation so far. General Haghanian last appeared in a video spread on social media sites and Iranian websites, in which he insulted Iranian Vice President Eshaq Jahangiri during his visit to the earthquake-affected areas in Sarpol-e Zahab and the Qasr-e Shirin in the Kermanshah Province. Jahangiri said that the former President Ahmadinejad was responsible for the houses that were destroyed as they were constructed during his reign. On various occasions, Haghanian, a leader in the Revolutionary Guard, appears behind the Supreme Leader and accompanies him in the most important meetings. He was also called the Supreme Leader’s shadow figure. 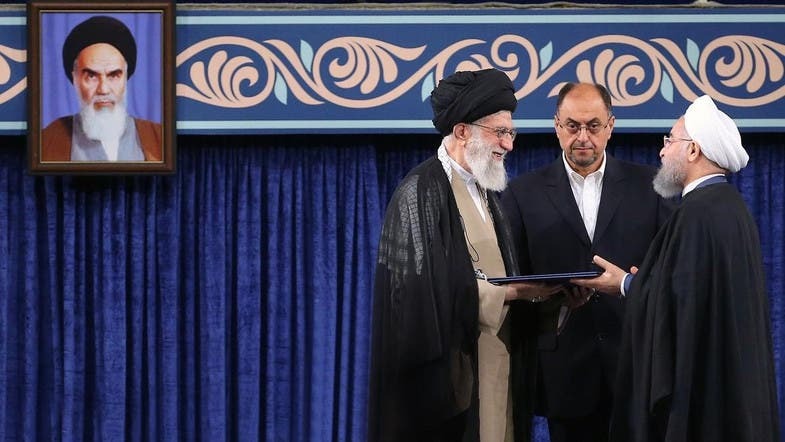 Haghanian served for long time as an assistant to Khamenei's chief of staff and as a personal secretary who had strong influence and impact on Iran, especially after the Green uprising in 2009.